MRG, in conjunction with European Roma Rights Centre, submitted a third party intervention in this case before the European Court on Human Rights concerning Roma housing rights. The applicants are all members of the Roma community whose homes were demolished and burned by the Russian authorities, whilst homes in the same area owned by ethnic Russians were left standing. The case raises several critical issues in relation to permissible restrictions of rights protected under Article 8 of the European Convention on Human Rights. 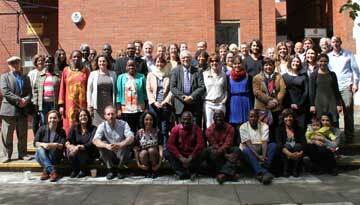 This case had the potential to create important human rights precedents as one of the key legal issues concerns the degree to which the right to housing can be legitimately restricted in order to safeguard the rights and freedom of others and safeguard public order, an issue which affects Roma across Europe. Similarly, in relation to Article 1 of Protocol No. 1, the issue of respect for the right to property in the context of evictions of Roma has not yet been fully explored by the Court. The case also raises fundamental issues regarding proving discrimination under Article 14 since, evidentially at least, it is a more clear-cut case of discrimination. In October 2016, the Court found the evictions were illegal and therefore in breach of Article 8 of the European Convention on Human Rights, which protects the right to respect for private and family life, and the family home. The Court did not, however, find the actions of Russian authorities discriminatory nor in violation of the Roma community’s right to property. 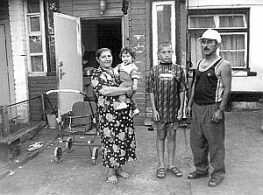 The failure to find that the community held any property rights in a village they had occupied for decades, in addition to the failure to consider the Russian authorities’ motivation for the evictions, showed a fundamental misunderstanding of both the Roma way of life and their continued mistreatment by the Russian authorities. The judgment was also a missed opportunity to provide greater guidance to governments on the steps they must take to ensure that the right to non-discrimination is fully respected and that the right to property is only interfered with in legitimate circumstances. The case complements our work on Roma housing issues under the Bosnia programme. European Court’s decision in Roma eviction case a missed opportunity concerning an urgent issue, rights organisations say issues in Bosnia.